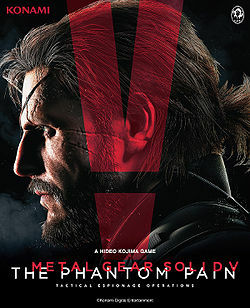 Metal Gear Solid V:The Phantom Pain, one of the most anticipated games of the decade, if not the century, is coming out on September 1. The gaming world is already in a frenzy about the release of the latest instalment of one of the most discussed video games. The fact that Hideo Kojima, the revered creator of the Metal Gear series, has been forced out of Konami and this is their last collaboration is also a factor which has contributed to an even larger buzz around the release of The Phantom Pain. Reviews of the game have actually already been posted, and all of them have been positive. Of course, this is not very surprising as the Metal Gear franchise is acclaimed for its quality and exceptional plot (albeit with very long cutscenes in the previous title. Many are in fact predicting that the release of the game will cause PlayStation 4 sales to increase as many gamers will want to experience it on the latest console and video game is serious business! Personally, I'm sticking to the PlayStation 3 version. Call me silly, but I don't see the thrill of buying a console for a single game. But then I've been known to change my mind before, and I'm already giggling like a little girl at the prospect of an open world Metal Gear game.